Instructors Share What Works. Each of our instructors are top industry professionals who are here to share their talents and knowledge with you. Each instructor has been hand selected due to their years of experience, knowledge, professionalism and their ability to teach and instruct. They have the desire to teach you and help you succeed. The time you spend here at WCA is about you learning from the Best in the Business! Jeff Stokes, Founder and President of Stokes Auction Group, began his career in the auction business at the age of 15 after graduating from Western College of Auctioneering. He began working in the family business performing estate, farm, liquidation, and real estate auctions. At the early age of 16, Jeff claimed the title of Washington State Champion Auctioneer. Jeff’s talents continued to garner him a number of awards including the national titles of World Champion Livestock Auctioneer-1987, World Champion Automobile Auctioneer-1993, and Men’s International Champion-2003. He is one of two individuals in the profession to have earned all three national titles. Achieving these titles is a reflection of his passion for the art of auctioneering. Today Jeff travels the world conducting charity auctions for Stokes Auction Group and is a highly sought after automobile and contract auctioneer. 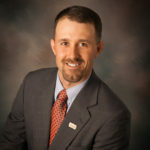 Ty Thompson is a 1992 graduate of Western College of Auctioneerng and is the 2009 World Livestock Auctioneer Champion. With over 25 years of experience in the industry, Ty is an auctioneer at PAYS Livestock in Billings, Montana. 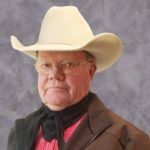 He is also the auctioneer and cattle sale manager at Billings Livestock Commission in Billings, Montana and the sale coordinator at Northern Livestock Video Auction. A trusted authority in the livestock market industry, Ty shares his knowledge of the industry with students and works hand in hand with each to refine their bid calling techniques. Kyle Shobe, a 2008 graduate of WCA, is a professional auctioneer specializing in purebred and sale barn livestock, real estate, farm and ranch and western collectible auctions. Kyle is the 2010 World Livestock Auctioneer Champion, 2005 Montana State Champion Auctioneer, 2006 Wyoming State Champion Auctioneer, International Auctioneer Champion finalist and Greater Midwest Livestock Auctioneer Contest finalist. In addition, Kyle and his father, Jayson, own and operate United Country Shobe Auction and Realty in Lewistown, Montana. Kyle is a member of the National Auctioneers Association and currently serves as the President of the Montana Auctioneers Association. 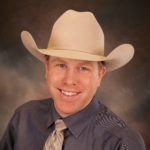 Outside of auctioneering, Kyle is a PRCA rodeo announcer and travels the country announcing key rodeo events such as Cheyenne Frontier Days in Cheyenne, Wyoming. His country music band, “Kyle Shobe and the Walk ‘Em Boys,” has appeared in seven states and recently released their first studio album, titled “Sounds Like Music.” Kyle holds a bachelor’s degree in Agricultural Economics from the University of Wyoming. Bobby D. Ehlert, founder of Call to Auction, is a Professional Fundraising and Automobile Auctioneer. Growing up in an auction family and through his conduction of professional fundraising auctions, Bobby D. has helped hundreds of charitable causes and organizations raise millions of dollars throughout the United States. Bobby D. is the 2015 World Automobile Auctioneer Champion, 2014 US Bid calling Champion and the 2009 Arizona State Bid Calling Champion. Highly involved in the auction industry on both the state and national level, Bobby D. brings his love of and expertise in the auction business to the classroom and to each of WCA’s students. Merton Musser is a professional auctioneer, specializing in agricultural, business, real estate and charity auctions. An auctioneer for over 30 years, Merton and his three brothers and their families own and operate Musser Bros. Auctioneers, conducting over a hundred auctions a year throughout the Northwest. In addition, Musser conducts charity auctions for several nonprofit organizations, helping to raise several million dollars annually for many worthy causes. Mert is a life member of the National Auctioneers Association and has served in all capacities with the Montana Auctioneers Association. Mert is the 1999, 2009 and 2015 Montana State Champion Auctioneer as well as an International Auctioneer Champion Finalist. 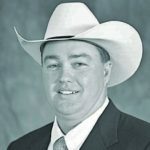 Randy Searer is a 1986 graduate of Western College of Auctioneering and the 2001 International Livestock Auctioneer Champion, 2011 Greater Midwest Livestock Auctioneer Champion, and the 1993 Montana State Champion Auctioneer. Randy sells five to six weekly livestock and car auctions in Montana, South Dakota and North Dakota. 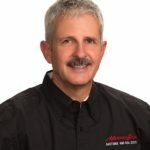 Before returning to his home state of Montana in 1992, Randy lived in New York and traveled New England selling five to six auto auctions, weekly. Nick Bennett is a 2012 graduate of the Western College of Auctioneering. 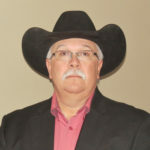 Nick is a professional auctioneer selling farm and ranch equipment, real estate, western collectibles and business assets for United Country Shobe Auction and Realty and works as a contract auctioneer. Nick is the 2014 Montana State Auctioneer Champion and 2011 Montana Young Entrepreneur of the year, 1st Runner-up. 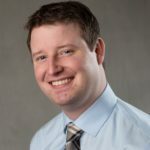 Nick graduated from Montana State University in 2008 with a Bachelor’s degree in Business Management with a Minor in Entrepreneurship and Small Business Management. 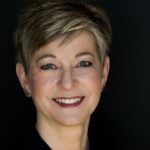 Melinda C. Tilton, M.A., is a University Lecturer at Montana State University Billings with the Department of Communication (1990-present), as well as an Independent Communication and Trial Consultant. Ms. Tilton is a communication and leadership trainer for organizations, including the Montana Bar Association, Billings Fire Department, Hospice, Montana Nutrition Association and KOA. Areas of expertise include public speaking, group dynamics, interpersonal, and intercultural communication. Ms. Tilton is the recipient of the University of Montana’s Advanced Trial Advocacy Distinguished Faculty Award, both in 1999 and 2001, the MSU-Billings Faculty Excellence Award in 2009, the Students of MSU-Billings Outstanding Faculty Award from 2012-2013 and 2016-2917, and the MSU-Billings Faculty Excellence Award for Promoting International Student Success in 2015. A native of Billings, bass and stage director Doug Nagel, is in his eighth year as Assistant Professor of Voice and Choral Studies at Montana State University in Billings. Doug conducts both choirs there and has a full voice studio of voice majors. 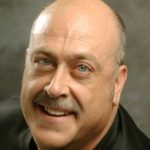 Former Artistic Director of Rimrock Opera since its inception in 2000, Doug produced, directed, and occasionally sang, in all productions with the local company. As a professional singer, Doug sang with over 20 opera companies in over 200 leading roles. Repertoire included The Flying Dutchman, Salome, Barber of Seville, La Traviata, Don Giovanni, Tosca, and Die Fledermaus, to name a few. 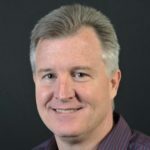 Doug is 2nd VP on the Board of Directors at Nova Center for the Arts, where he has directed and sung in Susannah, Don Pasquale, Gianni Schicchi and The Old Maid and the Thief. Doug will direct and sing The Postman in April’s The Scarf, at Nova. Pat Busby graduated from auction school in 1980 and has been involved in operating Busby Land and Auction Company, his family owned auction business, for over 40 years. Pat sells real estate both privately and at auction, works as a contract auctioneer and ringman across the United States and additionally sells 45-50 worthy charitable events across the country and Canada each year. 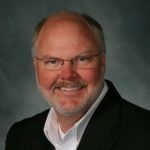 For his elevated success in real estate sales in South West Montana, Pat has reached the Platinum level of sales performance as well as achieved the Million Dollar volume mark numerous years with RE/MAX in Bozeman, Montana. A graduate of Illinois State University, Pat is a passionate conservationist. He is a life member of Ducks Unlimited, Pheasants Forever and Quail Unlimited as well as a member of the Rocky Mountain Elk Foundation and Turkey Federation. Jayme C. Green is an Assistant Professor of Theatre Arts at Rocky Mountain College in Billings, Montana, and a Certified Teacher with the Society of American Fight Directors. 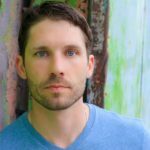 Jayme has been involved in numerous local productions and throughout the region as an actor, director, writer, fight choreographer, stunt performer and instructor. Production credits include Rock of Ages, Cymbeline, One Flew Over The Cuckoo’s Nest, The Lieutenant of Inishmore, Noises Off!, The Graduate, and The 39 Steps. He is a creator of many art forms and incorporates that interdisciplinary concept to all endeavors, including his original short film, Little Red Firetruck, and an original one-person show soon to be debuted, Blank Slate. Jayme is also an accomplished parallel parker. Ray Granmoe is a 1965 graduate of Western College of Auctioneering. He and his brother Ron owned and sold the livestock market in Glendive, Montana for 37 years. Ray now works as an auctioneer for Sydney Livestock Market in Sydney, Montana. A very talented and dynamic livestock auctioneer, Ray works with students on understanding livestock auctions and the livestock style of bid calling. 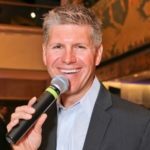 While he attended Washington State University and earned his business degree, he was involved in campus leadership roles, and reserved his weekends to participate in charity auctions across the Pacific Northwest. After spending time in corporate sales, he felt a calling to return to the family business and now works with charities full-time, filling a number of roles at the Stokes Auction Group office, while still reserving his “time off” to work charity events and automobile auctions.